is a product and furniture designer based in Prague, CZ. of substances that constitutes an object. Objects identify the space around us. 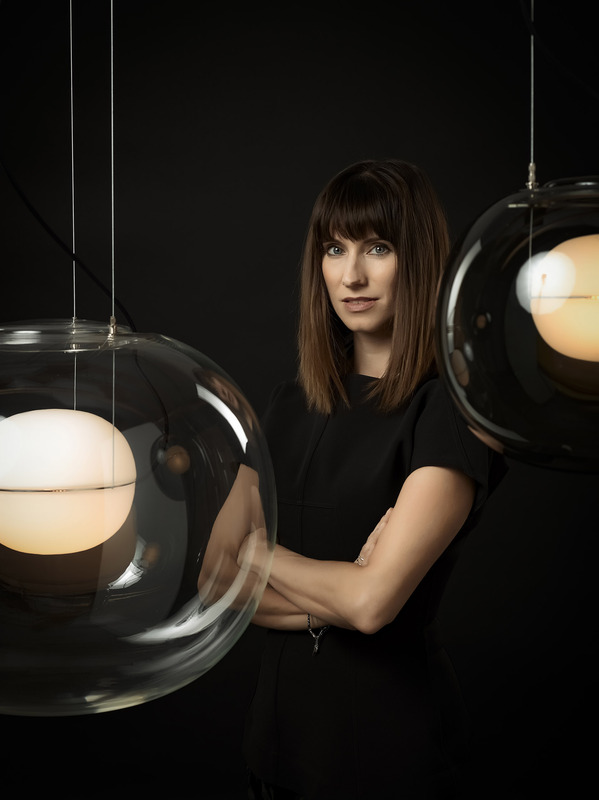 In France in 2010, Lucie set out on her successful path with the distinguished glass lighting collections Muffins and Balloons, which she created for Brokis, a traditional Czech manufacturer. She spent several years in Paris, where she transformed and honed the influences, inspiration, and motives arising from the city’s diverse cultures into her charismatic, elegant style and sensual formal language. Currently based in Prague, she continues working for international clients creating furniture pieces, glass sculptures, and timeless lights, objects of desire – chic and purified. Her work encompasses daily products, poetic gallery objects, and limited series. Her creative interest mainly focuses on glass and lighting design, involving ever more novel and exciting themes as well as technological and formal solutions in the field. In 2014, Lucie was appointed art director of Brokis and has since produced a range of successful designs for the company. Lucie uses classic craftsmanship and cutting-edge technologies with primary focus on the pure beauty of materials such as wood and glass. Her emotive style is based on the breathtaking use of colours, unusual proportions, and vibrant formal contrasts, and her objects often overcome limits of the possible, which is made immediately clear in viewing her work, such as Capsula or the stylish imposing lights Whistle and Mona with dimmable tubular LED light sources developed by Brokis.